The Teacher-Friendly Guide™ to Evolution Using Bivalves as a Model Organism (TFGEB) is designed to provide teachers with background information necessary to teach the concept of evolution. It is not a curriculum, rather it is meant to provide background information and ideas to support existing curricula. Links to resources that provide evolution curricula and activities can be found in the Resources section. This is not a curriculum; you can incorporate ideas from the Guide into your own existing curriculum. Introduce evolution into your curriculum early and often. The famous 20th century geneticist Theodosius Dobzhansky (1900-1975) once said, “nothing in the living world makes sense except in the light of evolution.” Bivalves are an easy-to-obtain and interesting model for evolutionary studies, but if you are more comfortable with another group of animals or plants, use this Guide as a model to create your own examples and activities. Emphasize the Big Ideas. Although the details are key to understanding the broad concepts of evolution or any other subject, use every tool to assure that your students leave your class with a grasp of the Big Ideas. This Guide uses a common and diverse group of organisms, the bivalve mollusks, including clams, oysters, scallops, mussels, and their relatives − as a model organism for most examples and classroom activities. 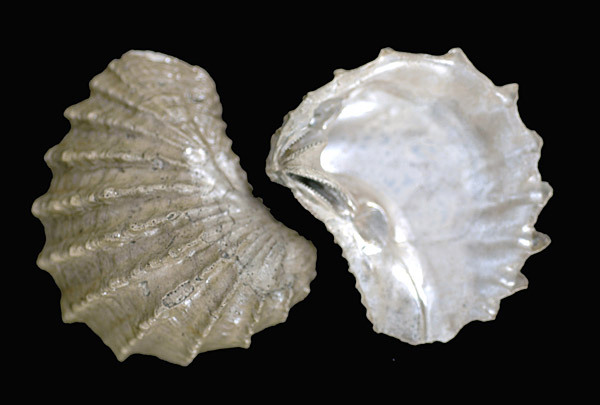 Bivalves are common in freshwater and saltwater, are pleasant to look at, are easy to obtain and maintain for classroom use (from the beach or the grocery store), and are also plentiful as fossils of all ages. They are also well-known to most students and teachers, and offer interesting biological and cultural side stories, from sustainable harvesting to species conservation to the production of pearls. You do not have to read this Guide from front to back! Despite the linear progression here, each chapter is written to stand alone. The sections can to be read and/or presented in whatever order seems appropriate for your class. There is built-in repetition of main concepts between chapters to facilitate easy searching and using different parts of the Guide throughout the academic year. The chapters are conveniently cross-referenced to find more information about a concept in other sections. Print or online? It’s your choice! 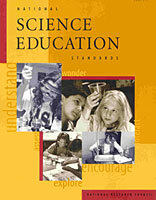 The content of the Guide is based upon the U.S. National Science Education Standards as well as a cross-section of state curricula, specifically New York, Texas, and California. It is targeted to secondary level biology classes, Grades 9-12, which is when students are expected to learn about evolution in detail. It will also be helpful for intermediate level science classes, Grades 5-8, when the concepts of evolution are first introduced. The chart below details how the TFGEB addresses these standards. To cite this website, please use this citation: Mikkelsen, P. M., & R. Henne. 2011. 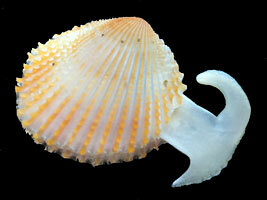 The Teacher-Friendly Guide to Evolution Using Bivalves as a Model Organism. Paleontological Research Institution, Ithaca, New York, http://teacherfriendlyguide.org/bivalves, last accessed [insert date of access].